It has been more than a hundred years when Chivas Regal has established itself as the first luxury whisky in the world. Now, it comes with a new symbol of luxury in its portfolio, premium Chivas Regal The Icon. It has been more than a hundred years when Chivas Regal has established itself as the first luxury whisky in the world. 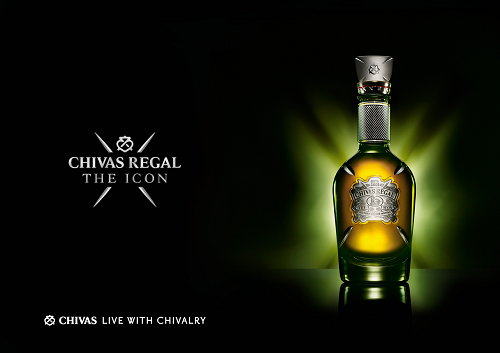 Now, it comes with a new symbol of luxury in its portfolio, premium Chivas Regal The Icon. To taste this exclusive and very fine blend of whisky means to enjoy the highest quality. The perfect combination of tradition and experience of Master Blender Colin Scott has given rise to quite exceptional blend that is a living memory and homage to the traditional distilling craft. Chivas Regal The Icon is blended from prestigious whiskys from more than 20 carefully selected and often forgotten distilleries throughout Scotland. In absolute harmony with luxury content, Chivas Regal The Icon is hidden in an exclusive decanter from hand-blown crystal, created by master glassmakers in Darlington Crystal. Perfection of the delicately cut glass in green, paying tribute to the original green bottle of Chivas Regal, which attracted the world”s attention in 1909, enhances precisely wrought metal label. Clean and sophisticated bottle design, that will delight lovers of whisky around the world, adds a Scottish symbol of love luckenbooth on the cap, the iconic symbol of Chivas Regal. “Chivas Regal The Icon is a truly excellent blend – perfectly fine with intense and pleasing tones that unfold in a long and persistent finish in the mouth. I am truly honored to introduce this luxurious whisky in true Chivas Regal style,” says Master Blender Colin Scott about the new Chivas Regal The Icon, which will be annually produced in a limited edition. The Czech Republic is this exclusive whisky available in bottles of eight, each at a price of CZK 80,000.